India's top three all fell inside the first hour, with talismanic captain Virat Kohli falling to a stunning Usman Khawaja catch off Pat Cummins for just 3 to leave the tourists in tatters. Rohit Sharma (15 not out) and Cheteshwar Pujara (11 not out) took the tourists to lunch at 4-56 in a stunning session for Australia. 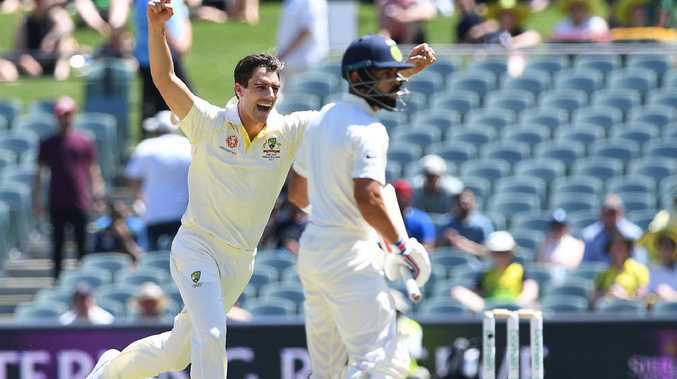 Josh Hazlewood and Mitchell Starc knocked over India's openers KL Rahul (2) and Murali Vijay (11) cheaply to put the visitors firmly on the back foot in scorching conditions in Adelaide. Hazlewood had his second when Ajinkya Rahane was drawn into a false shot to another wider delivery, caught by Peter Handscomb for 11.